Aisu Ti ('アイスティー', is classified into beverage), is known as Iced Tea in English, and 冰红茶 (Bīng hóngchá) in Chinese. 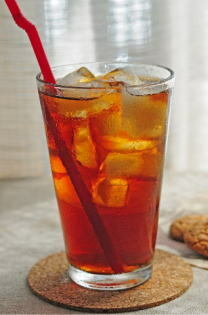 Iced Black Tea, Ice Tea. Water and Leaves of Black Tea. Tasty (A little bitter or astringent).